I have always felt that teaching must be based upon God’s Word and not experience, and that being submissive to the Holy Spirit and His leading is paramount. And while I continue to believe this and practice it now, I believe the Holy Spirit is wanting me to convey something that I’ve been going through personally as of late, something very important that is taught in God’s word. Up front I need to make it very clear that I am a wretched sinner. I confess that I have wasted many years in my almost six decades pursuing too many worldly and selfish goals, and have done too many things to dishonor my Lord and Savior. My life has not been the example, only Jesus is. The first verb in this passage is seen in the Greek word (echo) translated into the English words “we have,” and is in the perfect tense, which means it is a current action that will never ever change. It is obvious that John is referring to the fallen nature, and not the change that takes place with the resurrection body which is created in the spirit. There is no getting around the fact that even after we become born-again children of God, we still actively sin due to our sin nature. 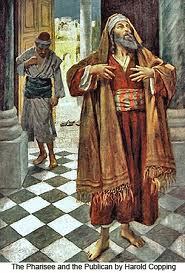 The “secret faults” spoken about in Psalms 19:12 is not talking about unintentional sin, as the Hebrew word (sawthar) here for “faults,” actually means hidden sins, sins that are concealed and not seen by everyone. There is no passage which speaks about unintentional sins, especially if one is attempting to use this to separate themselves from carnal believers. And for those that would say there are no such thing as carnal believers, why does Paul call them this term and indicates that they are saved based upon the Greek grammar? Now, back to my point. It is the Greek word for “sin” that makes this point very clear. The Greek word “hamartano”, literally means to miss the mark. 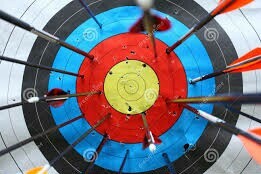 It was originally used in the field of archery, where you would have a giant target with the bull’s-eye in the middle. 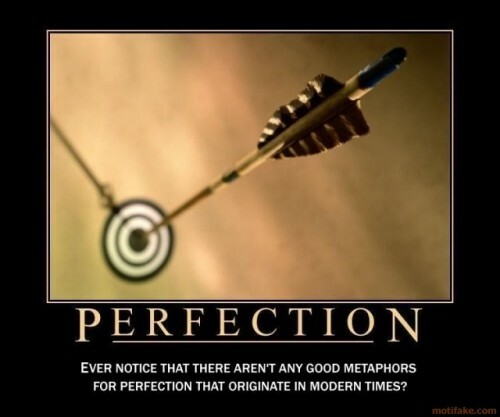 The bull’s eye was the same size as the arrow, and to “miss the mark” was anything outside of a perfect bull’s-eye. 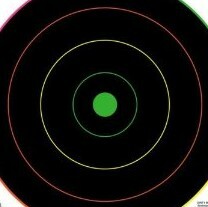 It did not matter if you were an inch off or even if you miss the target altogether. The point of this word is that all sin is missing the mark. 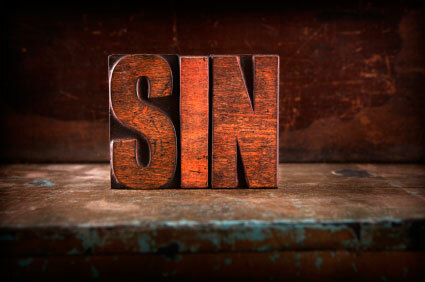 In fact the biblical teaching that all sin is the same comes from the definition of this word. And too many believers who suggest that there are little sins and big sins, do violence to the understanding of this word. In fact, when you look up the verbs used concerning the believers’ sins, you’ll find that they are best interpreted as a daily behavior; though is different than a lifestyle which never changes. This is not to be mistaken concerning the justice of God in choosing to punish certain sins more severely than others. This deals with the idea that there is no such thing as a small sin. 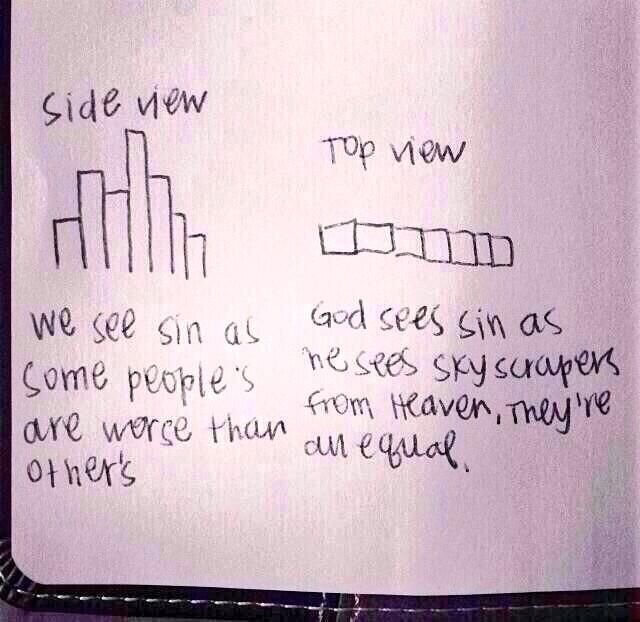 This also encapsulates the idea that we can define sin as anything that is not in alignment with God’s word and will. Meaning, when the Israelites refused to kill every man woman and child as they came into the Promised Land, they were sinning against God. The point is we must all start from the place of understanding we are wretched sinners. Yet at the same time, the reason for this short series is to give us pragmatic tools to stop those sins in our life that make us impotent in our ability to glorify God because of allowing sins to overrule us. 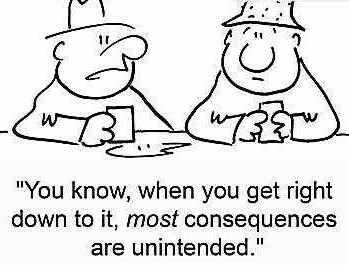 This also means that we have control over our choices, which is unlike the unbeliever who has no choice but to sin. We have the choice to avoid sin. This is what Paul addresses in the book of Romans. Paul is not saying that you will stop sinning altogether, he is pointing out the fact that sin does not have to be the master of a Christian. We make daily choices to sin. And the reason I hit upon sin so hard is that so many Christians justify their sins by saying they are small, never understanding the gravity of this type of heretical statement. 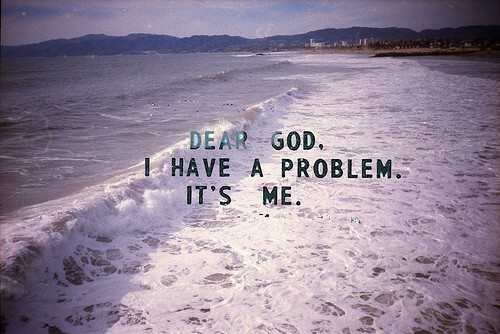 What we must do is be honest about our sins. And yes, every day you will sin in one way or another. 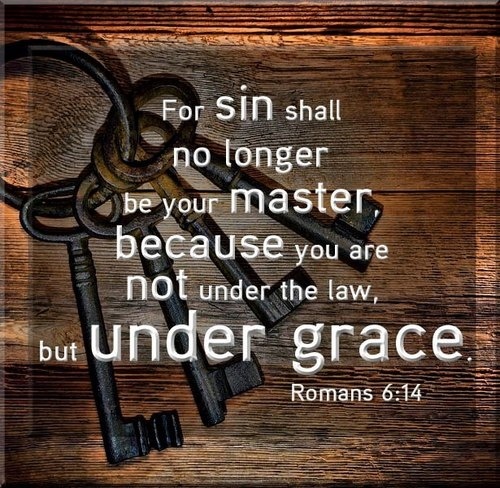 But this is not to say that sin must be your master and control everything you do. This is why this series is about pragmatic tools, individual choices that you can make in your life to set sin aside and therefore die to self in the process. 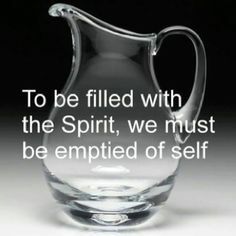 Self only wants to sin, yet the spirit gives us the choice. I am sick and tired of my small choices (and big ones as well) to commit what some would refer to as small sins. After the author speaks about not performing these sins that are so easily committed by us as habitual, we are instructed to follow the example of our Lord and Savior, which has seen in the book of Philippians as referring to gaining “The Mind of Christ,” which we will deal with in another part of this short series. This subject matter is one which is not very popular in most churches these days. Dying to self, as unpopular as it is, is the forgotten framework that Christianity must hang itself upon, if we are to follow our Lord and Savior. Starting in part two, we will present pragmatic tools, individual choices and behaviors to achieve the goal of dying to self and therefore serving Christ in a more mature and sacrificial manner. Having explained the problem that we are dealing with, SELF; let us go on to the first issue which we must deal with before attempting to pragmatically address dying to self. Anything that the believer attempts to do must be fulfilling God’s will, which is being Spirit led. And the first thing must be to seek the power and leading of the Holy Spirit in anything we endeavor to do, no matter how good it looks – we always need Him. 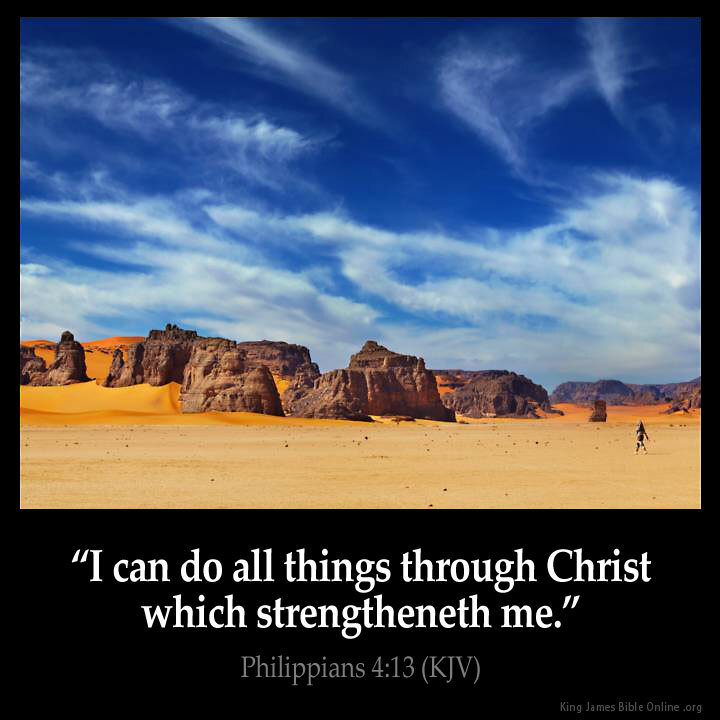 One of the Scriptures I believe concerning this, which has been misused far too often is Philippians 4:13. Many times when I hear people quote this Scripture it is usually something that profits them and sounds grandiose. It may concern something sensational or miraculous, yet if we follow the context of Paul lays out we will come to a different conclusion. You see he starts out prior to verse 11 commending the Thessalonians for having sent him financial help. But then in verse 11 he lets them know that God is the one in control, because God is the one that meets all his needs, and his motivation for seeking their help is not self-centered, but is actually something that will aid them in learning to be generous and grow in faith, and it is God that will reward them for their generosity. In the “me-centered” society in which we now live, which affects the church as well, this should not be considered an irrelevant subject. Yet Paul goes on to state that he will do just fine whether he has his needs met or not, because both states — that of need and the state of needs met — will both glorify God. How uncommon this is, because we see Christians attempt to define glorifying God by humanistic terms such as success, and reaching goals; whereas Paul defines success as glorifying God even if goals are NOT met, even if we go without food or having our needs met. 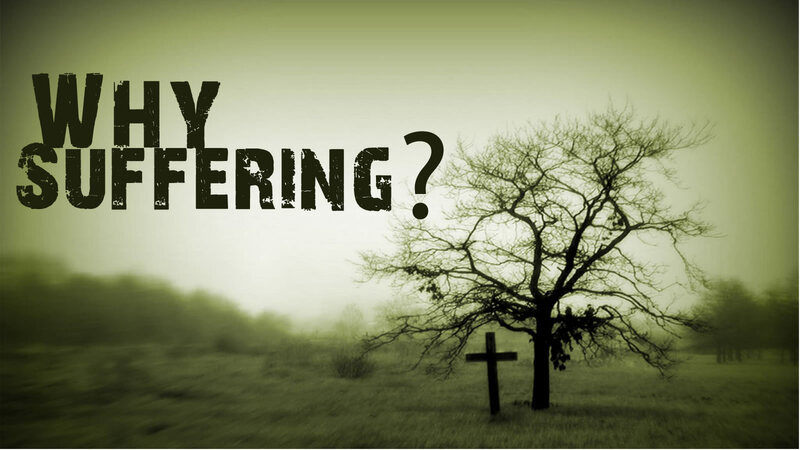 This reflects the maturity of understanding dying to self, wherein it’s not about us getting what we want, or feel we need, but the Christian walk is about glorifying God, which is especially seen when our needs are NOT met. How many of Christ’s followers (such as Peter and the disciples), would interpret the death of their leader as failure? Yet through the losing of His life, Jesus brought about success God’s way by glorifying God, and allowing God to maintain His justice in forgiving man because His own perfect Son died in our place. You do not learn mature lessons in life by winning, you learn by losing. It is the disappointment and sense of loss that drives us to strive to win the next time. 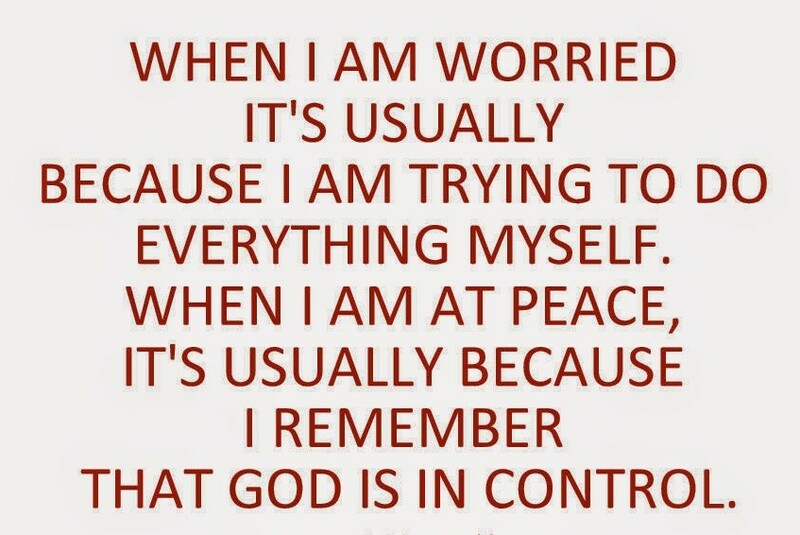 However, as a believer; we must understand that God is in perfect control of this world and our lives, and even the things where we never win according to the definition of success by the world, are things that can bring great victory by learning to trust God through the tribulation. Therefore, this first fundamental understanding is that we do not define fulfilling God’s will based upon human definitions of success and completion. This first lesson is to seek the Holy Spirit and His power, but trust God for the results and the definition of success. 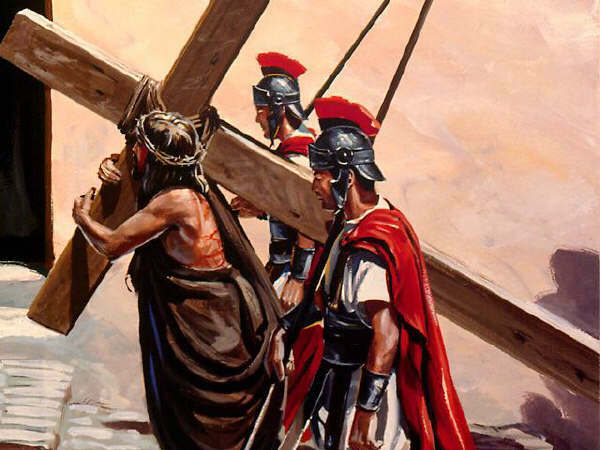 The greatest success that Jesus had, wherein He glorified His Father, was in losing his life on the cross. The original final draft of this article did not include this section, which should’ve been added. 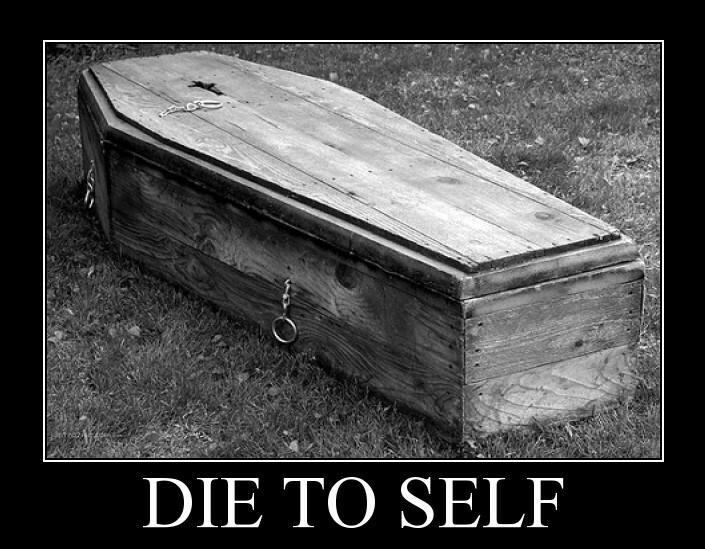 It should be obvious by now that the problem that we have concerning dying to self – is self. It is the fallen nature which precipitates every aspect of our human existence, even those born-again Spirit filled believers wherein sin is no longer their master, yet it is still a daily struggle between the flesh and the spirit. Any attempt to rationalize our sinful behavior, or to downplay it and minimize it will hinder us in our spiritual journey. It is in taking personal responsibility for our own choices and the behaviors that arise from those choices, wherein we give the Holy Spirit an opportunity to help us to deal with the problem of self. In a few days, I will release ongoing parts of this which will cover gaining the “Mind of Christ,” sacrificially loving others first, and other pragmatic tools that we can use in order to gain the ability to die to self a little each day, understanding that each choice that we make to die to self glorifies our Father. It is common to hear preachers address goals without addressing how to get there. There must be objectives to be reached in each goal that are definable and achievable. 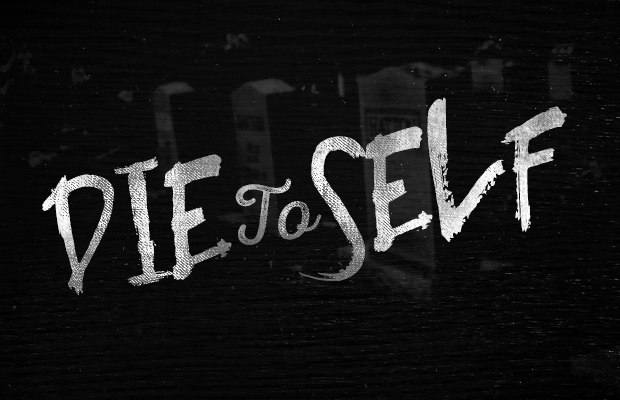 This series will deal with the tools to reach certain objectives in order to reach the final goal of learning how to die to self. Notice that even a sin in ignorance demanded sacrifice and punishment as demanded within the sin offering.